by this year's end, i would have attended a minimum of 4 weddings. in 2005 and 2007, there was a slew of weddings where many of my friends knelt before the altar to pledge a lifetime of love and commitment. i have written about many of those weddings on this blog, and it may be telling of just how nasty i can be because i almost always have something to say about the host. 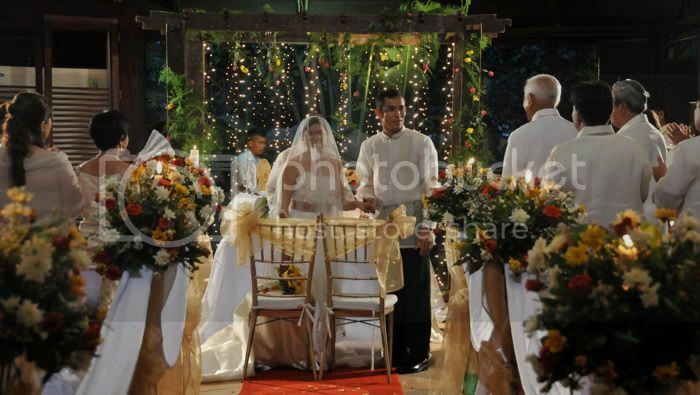 last saturday, i witnessed the exchange of vows between sheryll and gideon. shê was my blockmate in law school, and i cannot be happier for her: she had found a strong, God-fearing, and kind man in gideon. i've heard about how difficult it is for women lawyers to find partners who aren't themselves lawyers, or similarly titled. most of the time, i tend to believe it, because i am seeing many lawyer friends carrying on with their lives, seemingly content with singlehood. so sheryll's find is both opportune and golden. i wish them both well. and since i've generally dissed the hosts, i won't make an exception this time around. i wonder if it's a trend, but the host made it look like a game show. she would introduce the principal sponsors and scream the last syllable of their names. also, while her diction was perfect, she kept repeating this common mistake: "A is one of the bride's closest friend from school." "B is one of the groom's colleague at work." my ears were bleeding! and she also had couples do a game which involved a 10-second kiss. my friend JP was utterly disgusted by it. i remarked that we should make sure he does not become a lawmaker, lest he criminalize smooching in public. and because i diss hosts often, my friend howard has asked me to host his wedding reception next month. i hope i do a decent job. i asked howard last night about their wedding preparations and he said they'd exceeded their budget twice already. i can imagine that the days leading to a wedding can cause much stress on the couple. some people just deal with a planner, whose job it is to torture his or her brain about the details. howard incidentally mentioned tiffany chairs as part of his expense. it certainly rang a bell. 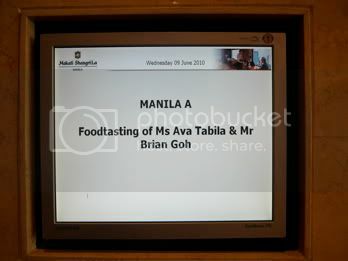 the previous day, i joined my friends ava and brian for food tasting at the shangri-la in makati, where they're having their wedding reception in september. their wedding's theme is tiffany blue and silver, and i kept hearing about what colors won't clash with the palette, and small details that a very relaxed groom might not even bother about. i was just completely shocked about the extent of the preparations, and the level of detail that ava has poured herself into. of course, with each tweak was an equivalent cost. at this point, brian approached me and whispered: this is the part i'm not supposed to hear. anyway, the food tasting was fantastic. ava and brian's planner had already picked out the food, and we just commented on things like presentation and taste. i was expecting actually to be served with several choices, but i didn't complain. i was very happy to have eaten at shangri-la, for free. 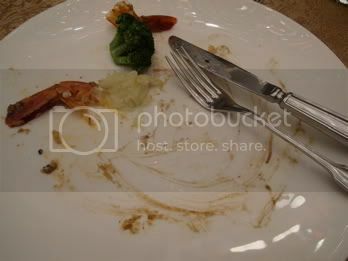 and the food was great! i have very low standards, actually, and i would mostly enjoy anything that's served to me, particularly if i don't have to pay. which is why i cannot be a food critic as i would rather focus on my own enjoyment, than worry about how other people would find the food: which means i'd probably give glowing reviews most of the time. and in rosy prose too. 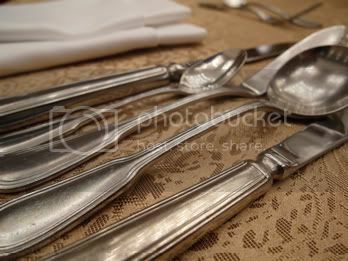 i'd go into great detail about how the four different plates and the complicated cutlery set, but i was told not to ruin the surprise for the other guests. there will be no surprises for me come september, but i certainly enjoyed that free lunch. 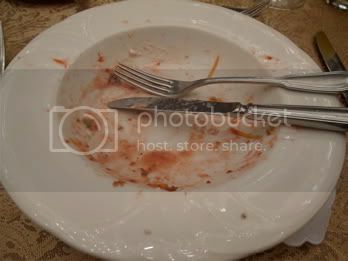 just notice how i cleaned both my plates. burp! i hope i get invited to more food tasting sessions: the hotel's coordinator found my comments insightful. like: more gravy, crumble the cheese, less bubbles on the cream. and finally, i get to this: being invited. i do not know about others, but i do not feel slighted about not being invited to a wedding, particularly when i think i'm a friend of either the groom or the bride, or both. i said i'd be attending 4 weddings by this year's end. maybe 5. but i personally know of more than that number of weddings taking place. i do not take it against them that they do not invite me, and i do not find it awkward to be discussing details of a wedding i had not attended. quite frankly, i have ditched a few invites myself, finding it a little too cumbersome to suit up. in fact, i mostly often say that the couple will probably not even notice my presence (or absence). so i find it odd that some couples have difficulty keeping within the maximum number of guests. 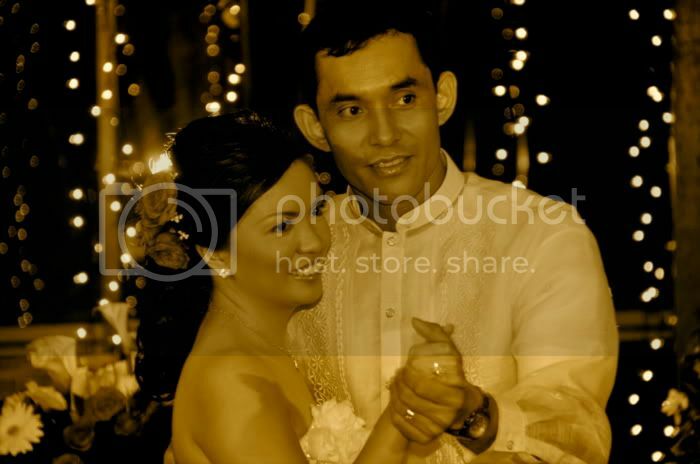 they really should just focus on who they want to see on their wedding: people who are significant to both their lives. having said that, however, let me just say i do not mind the reception. It was a wonderful wedding! Boohoo to JP and his priggish sensibilities! 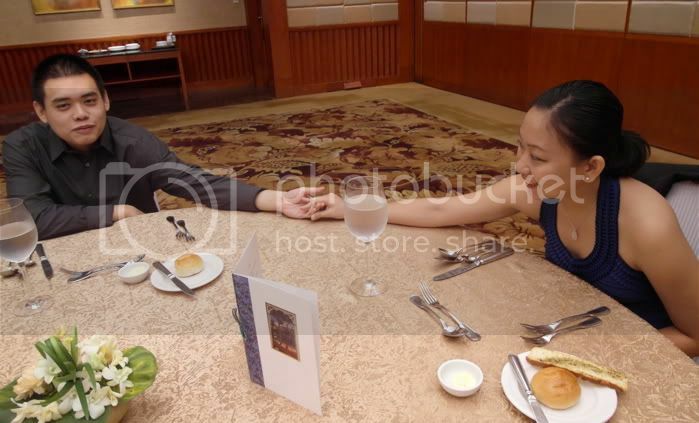 The food tasting at Makati Shang would have been boring without you there. Thanks for coming!